The cycle “Literature and Cinema ” which I mentioned a few weeks ago, led me to a wonderful film by Chen Kaige, “King of the children ” but also to read several short stories by A Cheng ( 1) and especially an outstanding book by Chen Kaige , “A Chinese Youth ” ( 2) which is, in my opinion, essential to “feel” what was the Cultural Revolution and the transfer of millions of young people “to the countryside”. The book was released first translated into Japanese in 1989 and in 1991 in Taiwan and finally in China in a ‘sanitized ‘ version . Chen Kaige is then a well known filmmaker after the success of ” Yellow Earth” in 1985. Yawning members of the jury of the Cannes Film Festival in 1989 where he presented ” King of the Children” , probably his best film, prompted him to go to the United States. He kept distances with China and wrote this book in New York. As he says in his preface, ” this little book relates to the Cultural Revolution. It also relates to myself. I believe that my life experience is mainly formed at that time, especially since this revolution has allowed me to know myself”.While millions of young Chinese could have written the same sentence, he has a real talent and does not hesitate, unlike others, to “get myself to the judicial forum … to assume my share of responsibility. In this sense, this book is a confession”. 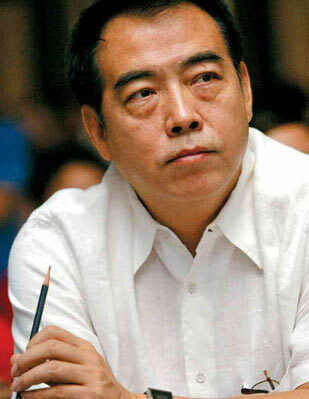 Chen Kaige is 61 years old, he was born into a family of well-known filmmakers. His father often on film locations is not much at home, but he is close to his mother and especially to his nurse, grandmother Shen, of Manchu origin, who will have him love Beijing and shows him how to live with dignity. In high school, he met A Cheng and the poet Bei Dao; the secondary school No. 4 is full of children of the leaders who will be the leaders of the Red Guards. He is in a very uncomfortable position because his father, who in 1939 joined the Kuomintang , is not a member of the Communist Party, a very heavy “family handicap” and he begins to hate his father. Chen Kaige revisits the beginning of the Cultural Revolution in Beijing, the cult of Mao and the role of violence. Lin Biao was saying, “State power is the right to oppress”. His father is facing an “indictment meeeting” and Chen Kaige, then 14 years old, shouts “Down ” as everyone else. “For me to unite with the masses, I had lost my father.” Their house was looted, their books burned. ” This method of search is not only to deprive the victim of part of his independent existence, but also to deprive him of his references and spiritual attachment points by the destruction of the past” (p. 100). His vision of the Cultural Revolution is illuminating. Hatred, propaganda played a role but the key is terror; ” human nature is such that man can not part from the community; the fear of being expelled from the group is one of the primitive terrors of humanity … this leads to a situation where everything which is private can be seen as a favor from the State … Giving up support and protection of the State is equivalent for an individual to give up his own conservation … the violence … has spread according to a psychological mechanism which is the fear of remaining behind the others “( p.106) . He also tastes the “pleasure of violence” and describes the development of his friends and their families. “When men become adults, the gap between what they actually are and what they consider in their head is shrinking more and more, because of society and specially because of themselves ” (p. .118 ) . He talks about the murders disguised as suicides. He describes with emotion the last hours of the great writer Lao She. He explains how relatives ( this is certainly not the case of Lao She’s son ! ) try to prove that there was a murder because suicide is a betrayal of the group. “That’s why suicide that shakes the sense of security of the masses is fundamentally something ugly … The technical term used at that time is “splitting from the Party ‘”( p.136 ) . Decline of the family is then dramatic. He joined during the spring of 1969 a State farm in southern Yunnan, a province less inhospitable than Manchuria where many of his friends were sent. This is the border area of Xishuangbanna, a tropical region where the Mekong flows, populated by ethnic minorities specially Dai. A few lines are devoted to this ethnic group ( p.160 ), but it is clear that for him as for A Cheng, it is not interesting. The Han ethnocentrism is a permanent feature ! (1) A Cheng, “Three kings: the king of chess, the king of trees, the king of children” translated into French by Noël Dutrait . L’Aube poche 2000, 240 pages . (1) A Cheng,”The king of trees, three novellas”, translated into English by Bonnie S. MacDougall; New Directions, 2010, 208 pages. 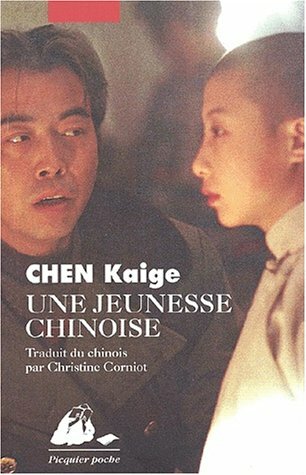 (2) Chen Kaige , “A Chinese Youth” , translated into French by Christine Corniot . Editions P. Picquier 2001 , 200 pages, 7.50 euros. 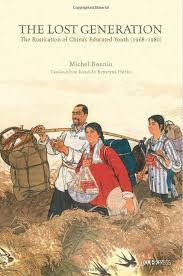 (3) Michel Bonnin, “Lost Generation”, translated into English; Chinese university of Hong Kong press. (The book has also been translated into Chinese). (4) “The massacres of the Cultural Revolution ,” texts edited by Song Yongyi , translated into French by Marc Raimbourg . Buchet Chastel 2008 or Folio Documents , March 2009, 430 pages , 9.30 euros.